Living in CO, I get to enjoy beautiful scenery like this in Aspen! 'My Maroon Bells' is my personal interpretation of these gorgeous mountains so frequently captured, yet always an individual experience by those blessed to be in their presence. 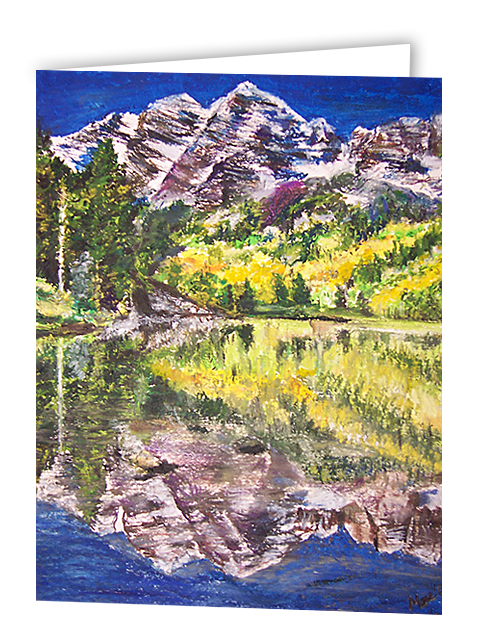 Pack of 8 (6.25 x 4.5 size) uniquely created cards with original artwork of 'My Maroon Bells'.